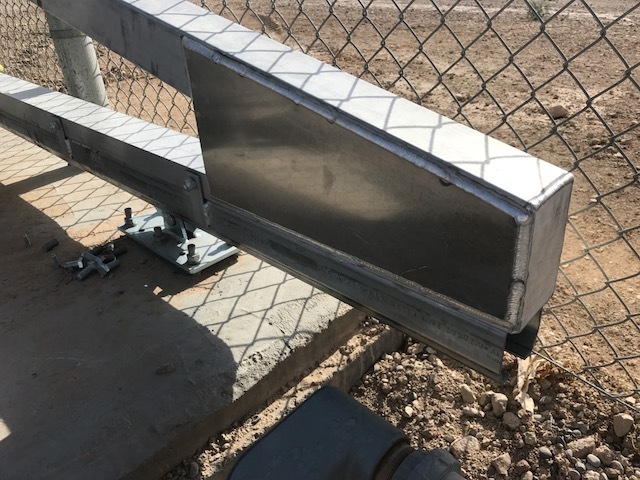 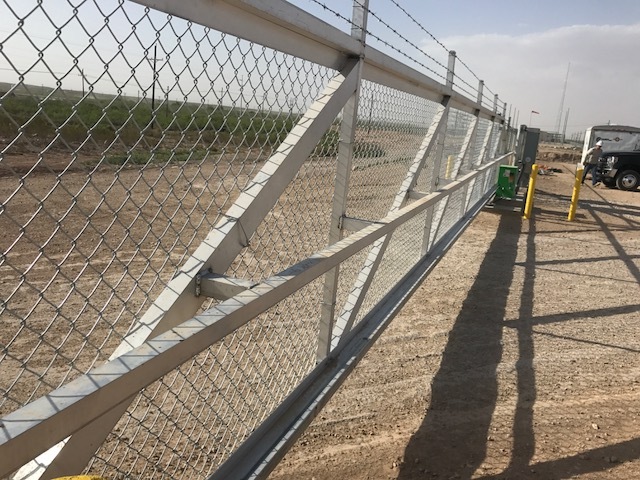 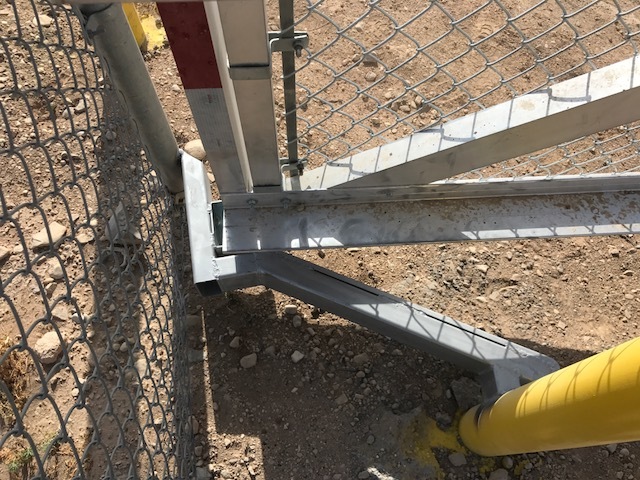 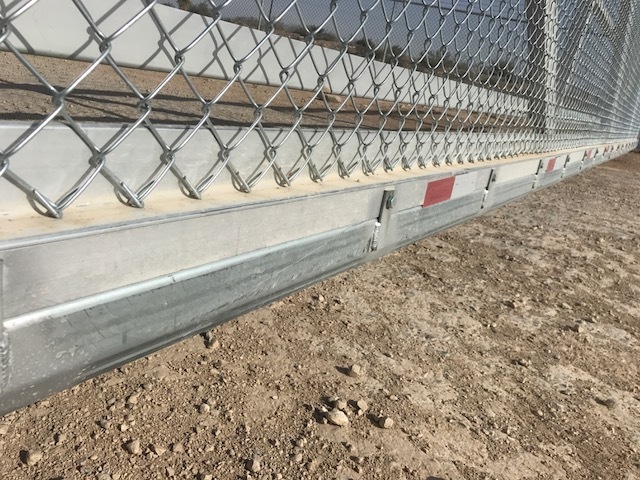 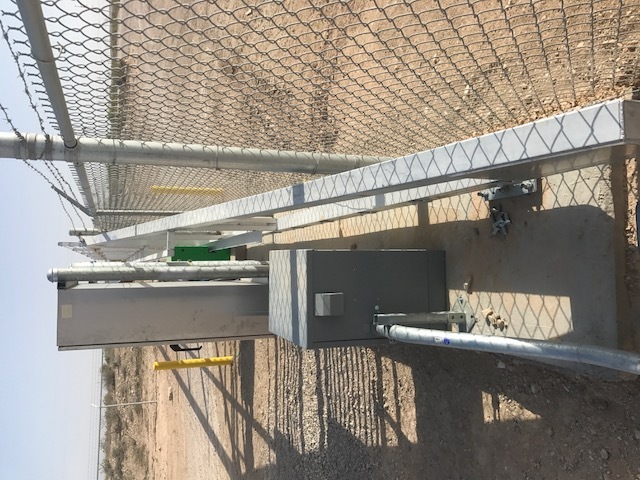 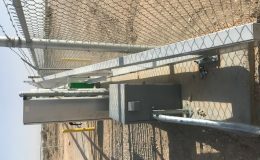 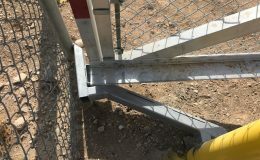 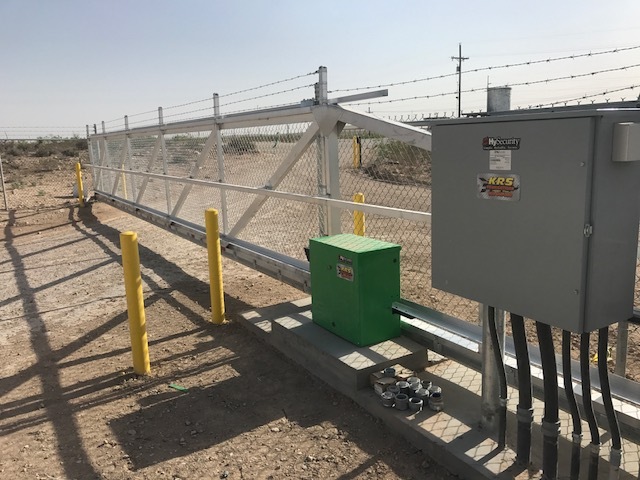 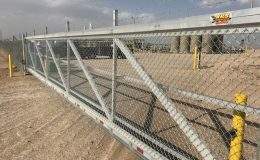 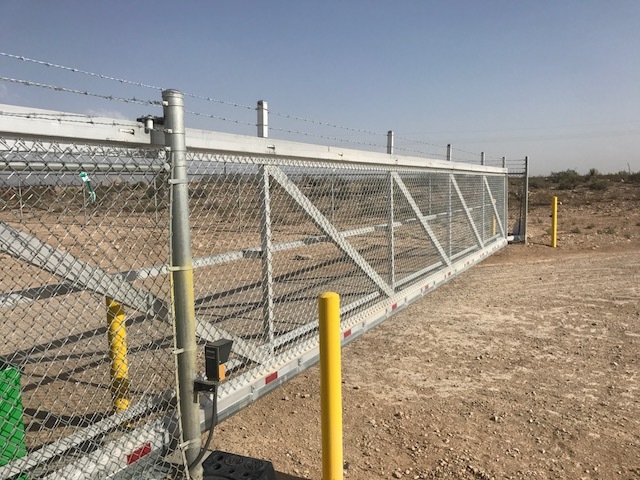 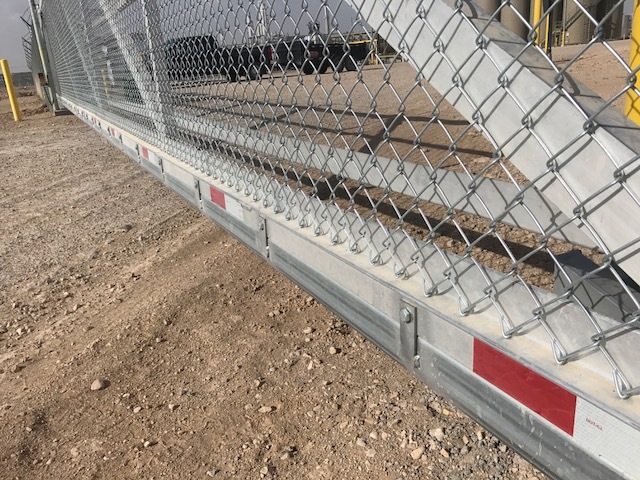 KRS Fabrications recently fabricated and installed a security gate at the Anadarko Petroleum Gas Plant knowing that the cantilever sliding gate hardware, offered by Comunello, would be a perfect fit. 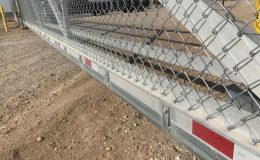 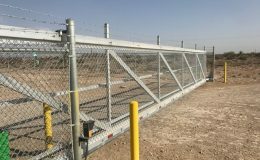 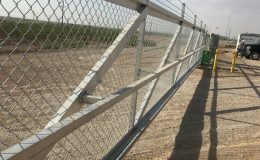 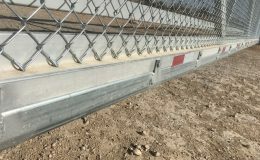 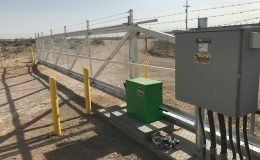 The gate opening is 40ft and uses the galvanized track model, CGS-350.8P. 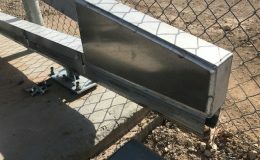 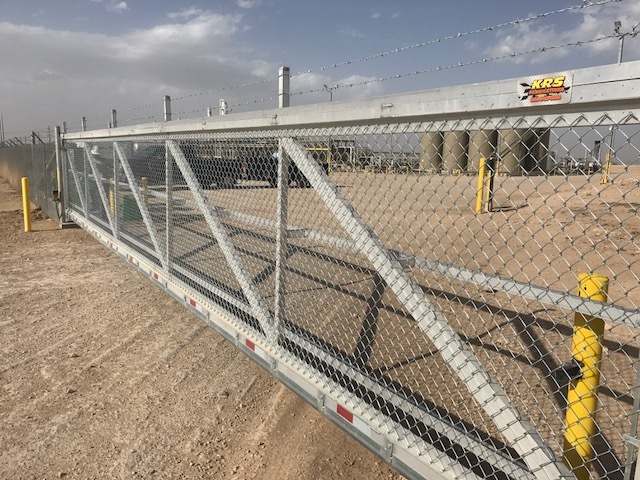 KRS Fabrications fabricated an aluminum frame, making the gate much lighter than steel and mechanically fastened the aluminum frame to the galvanized steel track.